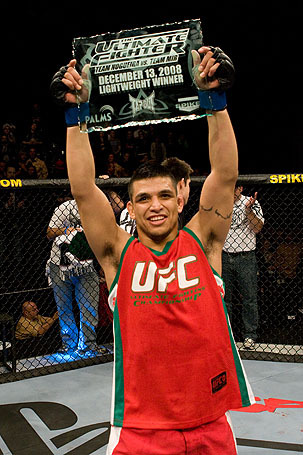 A lightweight tilt between Billy Evangelista and Jorge Masvidal has been added to Strikeforce: Columbus. The event takes place on March 5th at the Nationwide Arena in Columbus, Ohio. 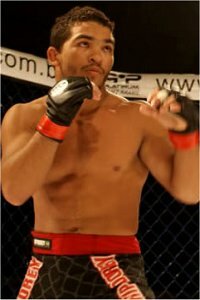 Billy Evangelista has gone an impressive 6-0 in his Strikeforce career, beating UFC veterans Jorge Gurgel and Luke Caudillo along the way. He earned a unanimous decision over Waachiim Spiritwolf in his last fight in October of last year. Jorge Masvidal was signed by Strikeforce in September of last year and will finally make his highly-anticipated debut in March. He has loss two of his last three fights, including a unanimous decision loss to Paul Daley. Masvidal’s last victory was against Naoyuki Kotani in Japan last April. An original scheduled fight between Jason ‘Mayhem’ Miller and Tim Kennedy has been scratched. 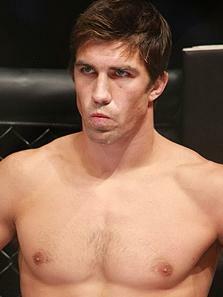 Instead, the Army veteran will meet top middleweight prospect Luke Rockhold at Strikeforce: Columbus. The event takes place on March 5th at the Nationwide Arena in Columbus, Ohio. 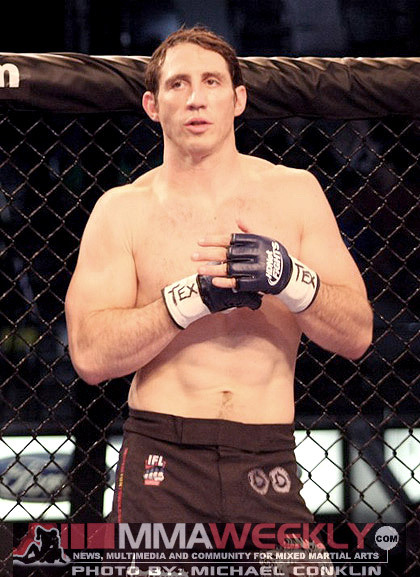 Tim Kennedy started his Strikeforce career with three consecutive victories, including wins over Nick Thompson and Trevor Prangley. The streak earned him a shot at the vacant middleweight title against Ronaldo ‘Jacare’ Souza, but lost a closely contested unanimous decision. Luke Rockhold is considered one of the best prospects at 185-pounds. 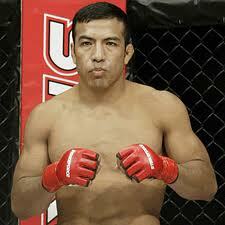 He is currently on a six-fight win streak, including victories over Paul Bradley and UFC veteran, Jesse Taylor. Rockhold has been apart of Strikeforce’s Challengers series for his last three bouts, but makes the jump to the big shows to face Kennedy. Bellator officials announced Patricio “Pitbull” Freire as the seventh entrant into season four’s featherweight Tournament. Freire will get a second chance at winning a Bellator tournament. He made it to the finals of season two’s tourney after defeating William Romero and Wilson Reis. Freire met wrestling standout Joe Warren in the finals, but ended up losing a controversial split decision. Friere joins Eric Larkin, Zac George, Kenny Foster, Wilson Reis, Georgi Karakhanyan, and Daniel Straus as confirmed participants. Newly-crowned Strikeforce’s 135-pound champion, Marloes Coenen defends her title for the first time against Miesha Tate at Strikeforce: Columbus. The event takes place on March 5th at the Nationwide Arena in Columbus, Ohio. Marloes Coenen got her first shot at Strikeforce gold in January of last year against the 145-pound juggernaut, Cristiane ‘Cyborg’ Santos. Although she suffered a TKO loss, Coenen was awarded a title shot at her natural fighting weight against Sarah Kaufman. Coenen took the title from Kaufman after locking an armbar in the third round, forcing the tap. Miesha Tate earned a shot at the title after winning a one-night four-woman tournament last August. She defeated Maiju Kujala in the opening round, and then went on to beat Hitomi Akano by unanimous decision in the finals. Tate has won nine out of her last ten fights, dropping a decision to Sarah Kaufman in May of 2009. Yesterday Bellator officials announced Wilson Reis as the fifth participant in season four’s featherweight tournament. Reis joins Eric Larkin, Zac George, Kenny Foster, Georgi Karakhanyan, and Daniel Straus, who have already been confirmed in the field. This will be Wilson Reis’ third attempt at winning a Bellator tournament. He made it to the semifinals the first two tries, but lost to eventual champion Joe Soto in season one and Patricio Freire in season three. Reis defeated WEC-veteran Deividas Taurosevicious by split decision in a non-tournament bout last October to earn another chance in this season’s featherweight tournament field. Patricio “Pitbull” Freire and Nazareno Malegarie are expected to named as remaining entrants in to the tournament, but no official word has been of yet.